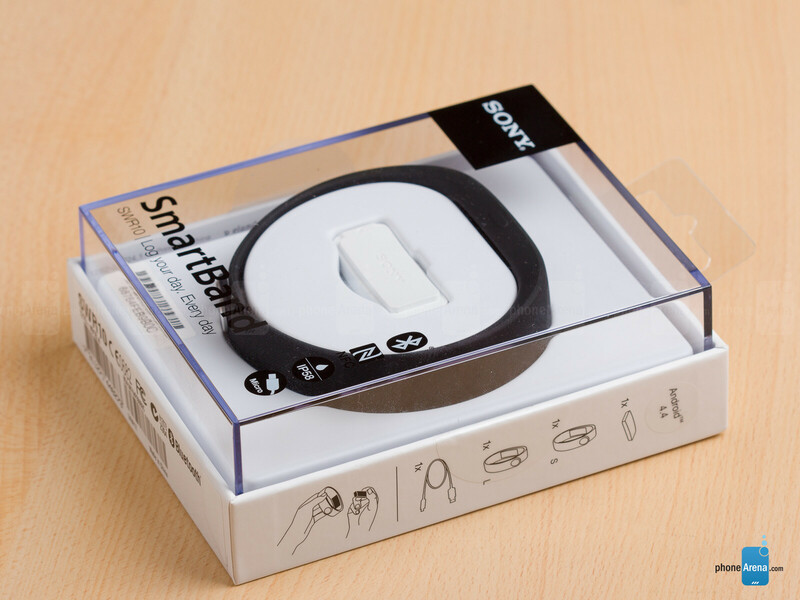 The Sony SmartBand SWR10 is a wearable fitness bracelet that is light, elegant and that works with Android phones of all brands. It’s also simple and water-proof, with easily interchangable bands, and long battery life. Its main goal is to track your steps during both runs and walks, but it can also track your sleep and wake you up with a silent alarm. Moreover, you can use the tracker when your phone is not around and it will sync up all its data to the phone later on - all things that allow you to just wear it without thinking too much about anything else. The SmartBand SWR10, however, does not have a display, so you cannot even check the time on it. 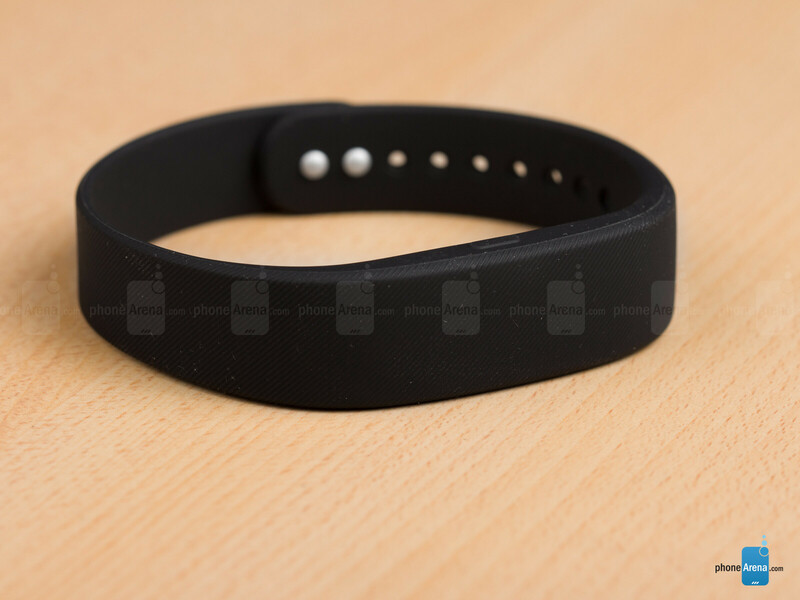 If you are fine with such limitations, the SmartBand has all the right ingredients for a pure fitness tracker. Join us below as we explore all its features in more depth. The SmartBand looks elegant, but it’s biggest plus is that you can practically forget you’re wearing it - it’s that lightweight and compact. The most notable thing about the design of the Sony SmartBand SWR10 is actually not its looks, but it’s how light it feels. We almost forgot we had it on, and we’d count this as a huge plus as this is a device that you’re supposed to be wearing not only during the day, but at night as well, if you want it to track your sleep and wake you up silently in the morning. 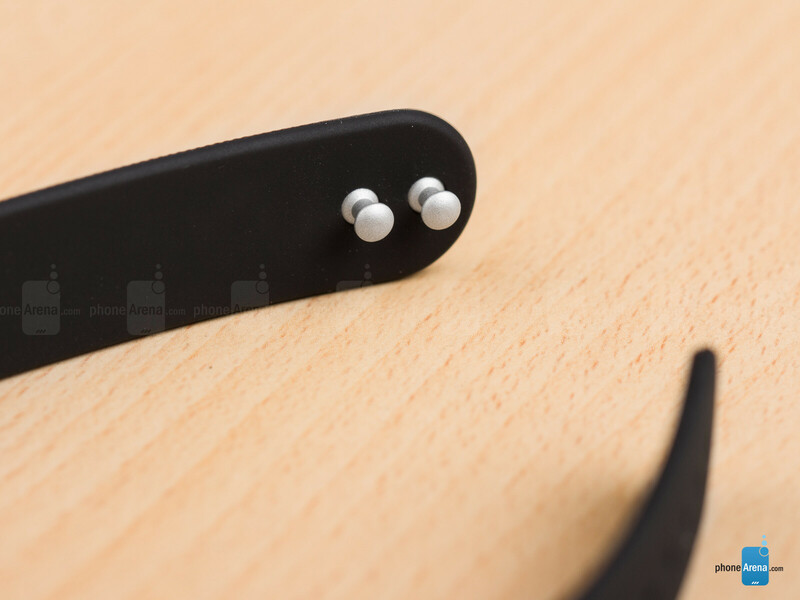 In terms of the actual design, we ought to separate the two pieces that make the SmartBand what it is - the band and the core computation module inside it. In terms of looks, the core module is slightly curved and boasts a huge Sony logo. 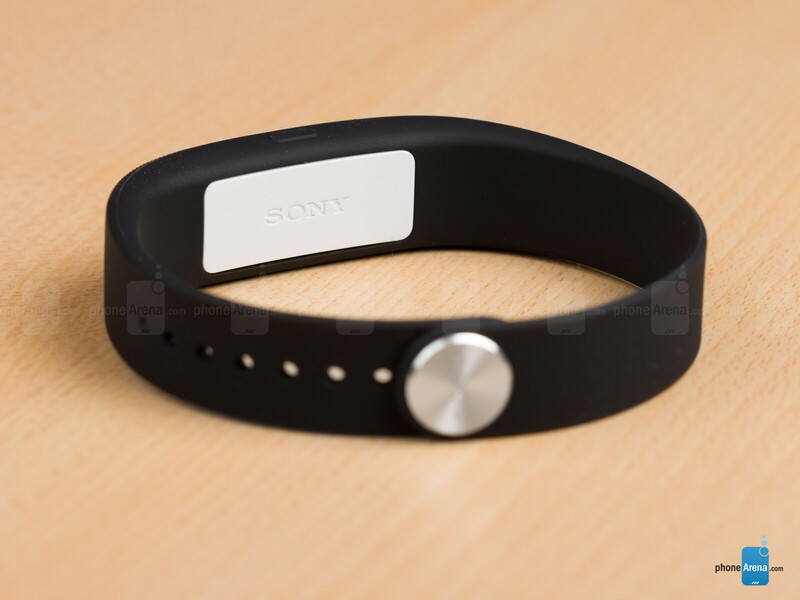 To achieve its lightness, Sony’s bracelet has got a core that is very tiny (7.8mm thick) and truly featherweight (0.21oz, or 6g on its own, and around 0.42oz, or 21g with the band), with just a single button on it, and three LED lights that indicate charge. It has also got a microUSB port for charging on the side, so you don’t need proprietary connectors. The core fits securely from the inside of the flexible band. When inserted in the band, the core module faces your hand, and it’s practically impossible for it to fall out. Swapping bands is also easy - it does not take much effort to detach the band from the core. 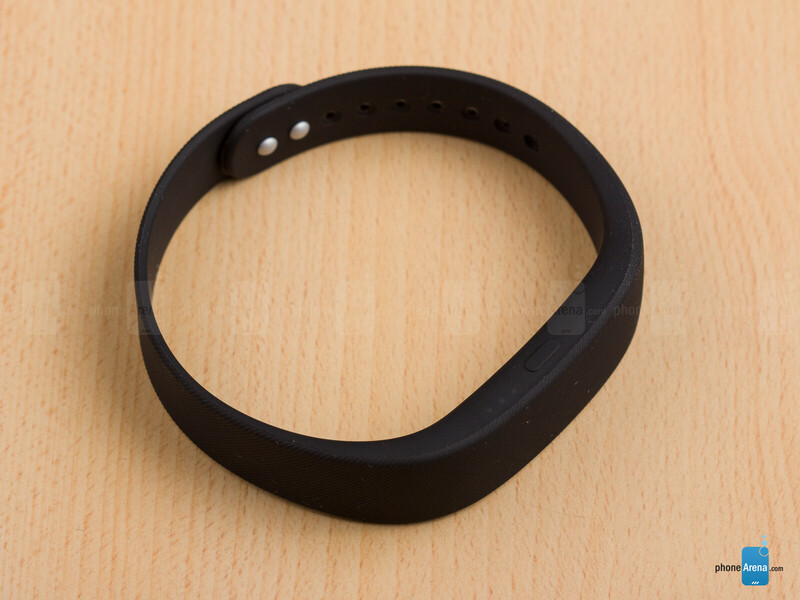 The bands themselves are made out of silicone rubber and are very flexible, and feel well on the hand. 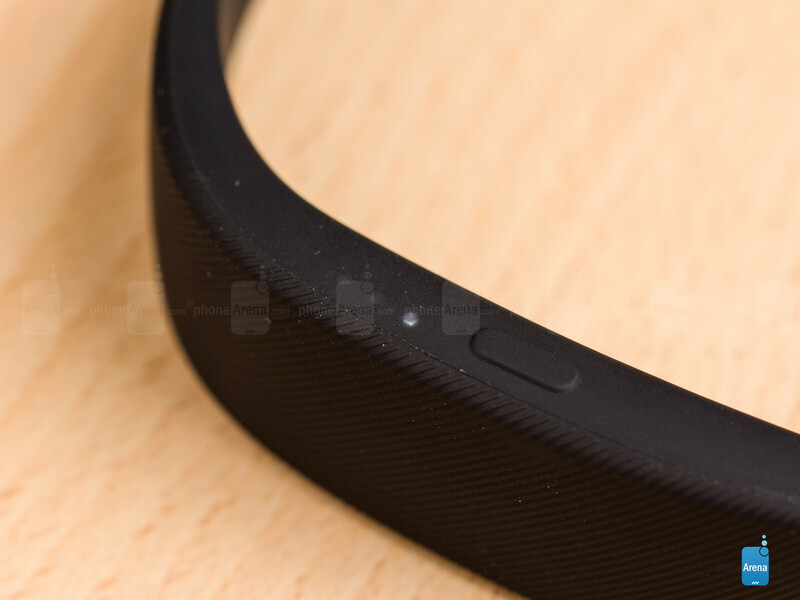 The only slight downside of wearing the silicone rubber band all allong is that your hand might sweat a little bit more around those places, but that’s about the only slight issue we can think of. The actual device ships with bands of just one color, but you can purchase additional ones coming in a variety of different colors: yellow, blue, red, green, etc. We should note that there are two band sizes: large (250mm) and small (214mm), the large ones would most commonly be used by men, while the small ones would fit ladies better. We should also say that the SmartBand is protected from the elements. 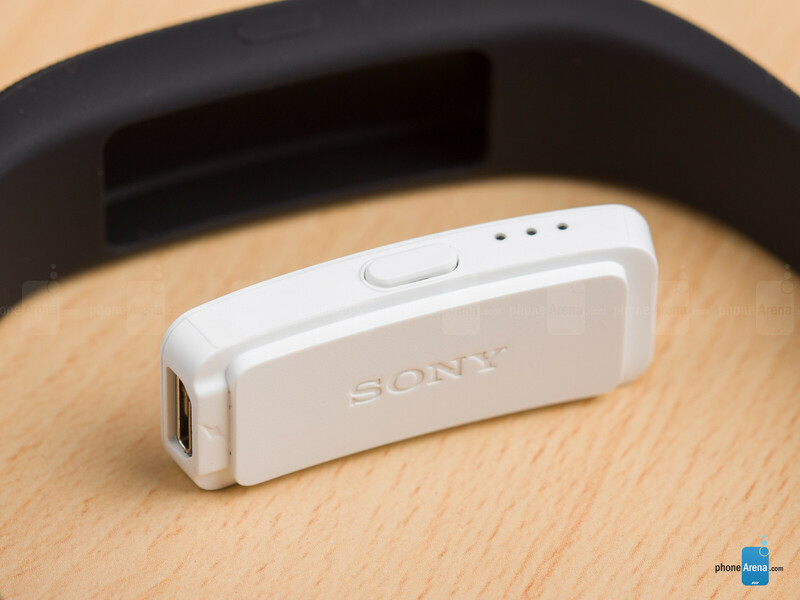 Sony’s fitness-tracking bracelet is IP58-certified, meaning that it can withstand submersion in up to 5-feet (1.5-meter) deep fresh water for up to 30 minutes, and it’s also protected from dust. Will it work if I m not wearing it, by just carrying it my pocket for example? Or it need specific body movement to register or to gather data? Amazon review said it works well with it in the pocket. And it also said he can also take photo with that button on smart band in addition to music control. I love the smart wake up function. Though it doesn't seem to track the calories very accurately. for my taste the lifelog app wastes to much battery(to keep location and running all time). i stoped using the band because of that. Does it work with tablets with 4.4 as well? Could I take a shower with it or the waterproofing was meant for accidents, and not actual use on a rainy day? Can I control more than one smart bands from one phone? This is a step too far, manufacturers such as Sony and Apple, indeed all OEMs need to consternate their R&D budgets on better battery life, not this frivolous technology. If I don't have my phone with me (leaving it at home), and I go out jogging, will it still track my location as well as the distance I'm running as well as the time?